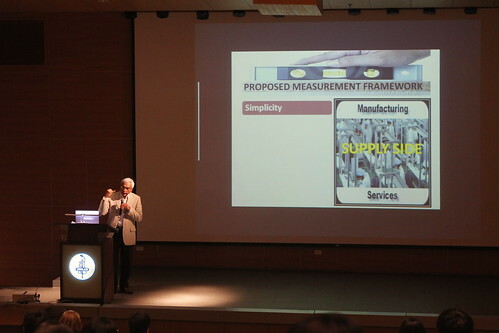 Early last year, I presented the need for an Internet and e-commerce measurement framework at the National Statistical Coordination Board January 18, 2012 meeting in response to their planned “Formulation of the Philippine Society Development Program 2011-2017 – Chapter on Information Society Statistics”. Having done my own share of Internet and mobile user habits research in the past, I recognize that how we collect data and come up with reports reflecting the Filipino Internet User is not efficient enough. Especially with new devices, websites, games, e-commerce sites, among others coming out every month. By the time a report is released, a lot about the Internet user has change already. On the other hand, there is also another challenge, not everything about e-commerce happens only at the consumer side of things. A lot of action happens on business-to-business, e-services rendered by freelancers, consumers-to-consumers, entrepreneurs to consumers online to offline, in-games purchase, among others that is largely unaccounted for when measuring the size of Philippines e-commerce. As a result, we get tied to a number based on safe or conservative estimates that is not necessarily reflecting the magnitude of e-commerce adoption in our country. Worst, if established research firms will report a declining number on e-commerce activity – while industry observers are otherwise noting growth. It will be unwise to argue based on perception as it will not lead to anything that will benefit the industry. Figures on e-commerce volume and growth in our country, if we want to see improvement, requires taking an initiative or attempt to do another take or approach in measurement. 1. E-Commerce at Strategic rather than Operational Level. Nick observed that e-commerce is often measured at the operational context. As a result, e-commerce entrepreneurs initiative are more on what fits the market today rather than at the strategic level of shaping what the future should be. In addition, most e-commerce efforts do not explore its potential at the national and regional level immediately due to lack of certainty. 2. Current E-Commerce analysis skewed on the demand side. Nick pointed out that e-commerce analysis needs to be defined focusing on the space (readiness of players), intensity (volume), how it can be leverage. Defining volume of e-commerce is usually done by studying behavior happening at the demand side. The challenge though is our Internet community is too diverse, habits changing and moving too soon, and possible respondents, to properly represent the country are too dispersed. Another challenge of measuring only at the demand side, although reliable, is that it is dependent on the size and representation of the respondent base. Can the same base consistently represent the changing habits of the Filipino Internet User? Should we measure e-commerce through the channels like the e-commerce shopping portals we have online today? Nick thinks this is also possible but too diverse. Not all channel owners are fully aware how much transactions are really taking place especially if both the buyer and seller closes the transaction offline. It may still lead to questionable result. Another measurement segmentation can be done by monitoring payments to determine how much of it was e-commerce. However, these are usually not tagged. Considered as confidential information. We won’t be able to see whether it is amortization (part of payment plan or split payment arrangement). Nick believes that measuring on the supply-side is most sustainable. However, it will require transparency, willing to share information, and carried out in a reliable manner. i. Simple for participants to easily participate. ii. Regular enough, quarterly to monthly, to be reflective of current e-commerce state and growth. It should show % increase or decrease of volume by industry, sector, size, and area. iii. Relevant – it will benefit the participants as well as the industry at large. iv. Reliable that industry can count on it as reference. v. Cost-efficient – utilize the Internet and mobile communications to collect information. vi. Scalable – it can expand as the need arises. 5. An E-Commerce Measurement Framework needs to have a clear vision. 6. Need to have E-Commerce baseline data. Nick said we need e-commerce baseline data from the supply side. It must come from the Top 25,000 corporations. We are currently fleshing out the details of the E-Commerce Measurement Framework and shall do an initial run this 2nd quarter to build baseline data. We will be approaching industry associations and companies to get cooperation and raise the resources needed to carry this out. If your organization or company would like to support, and want to receive a proposal, let us know.